Bungie promised a while back that they are adding more Exotics in their new Taken King DLC. This may be a strategy to alleviate the huge consumer backlash, which started when gamers found out that it’s going to cost $40. Today, Xûr revealed on Instagram new Destiny Exotics. 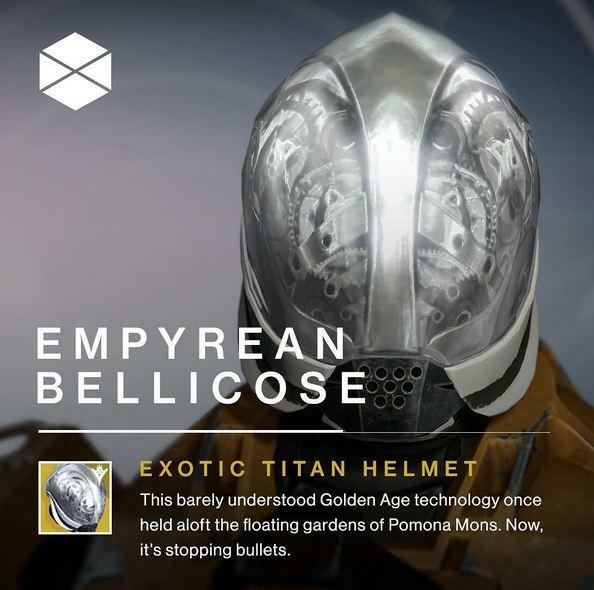 The first one is an Empyrean Bellicose Titan helmet and it looks just to die for. The official description for the item reads that even though it’s from a bygone Golden Age era, this tech was once used to keep in place the floating gardens of Pomona Mons. Its purpose is to stop bullets. Xûr adds that Titans will resemble flying shadows wearing the Empyrean Bellicose. If you choose to aim your weapons mid-flight, you’ll be held in place for a short duration of time. Also, any orbs collected while your Super is full will also recharge your melee ability. 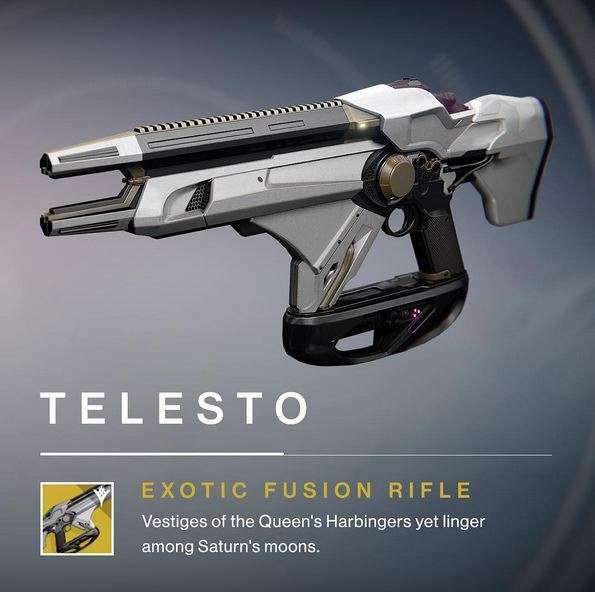 The Telesto is another new Destiny Exotics. It’s basically a fusion rifle of sorts. A glorified vestige of the Queen’s Harbringers, the Telesto shoots projectiles. They will attach onto you enemies and you will detonate them with a delayed Void Blast. If you’re skillful, you can attain multikills that will also drop Orbs for all of your allies. 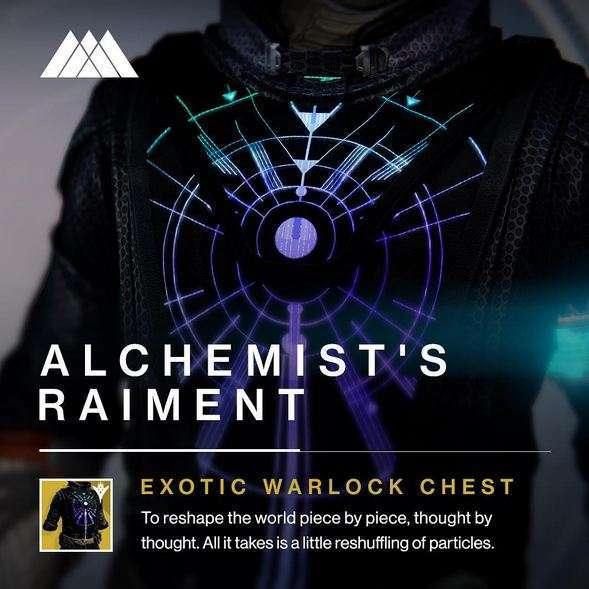 The third new Destiny Exotics weapon that is going to be available in The Taken King expansion is the Alchemist’s Raiment. This is a Warlock item. When you will collect Primary Ammo, you’ll have a chance of obtaining glimmer – drop rate is unknown at the current moment. Also, when your Super is full, you’ll be able to recharge your melee and grenades. 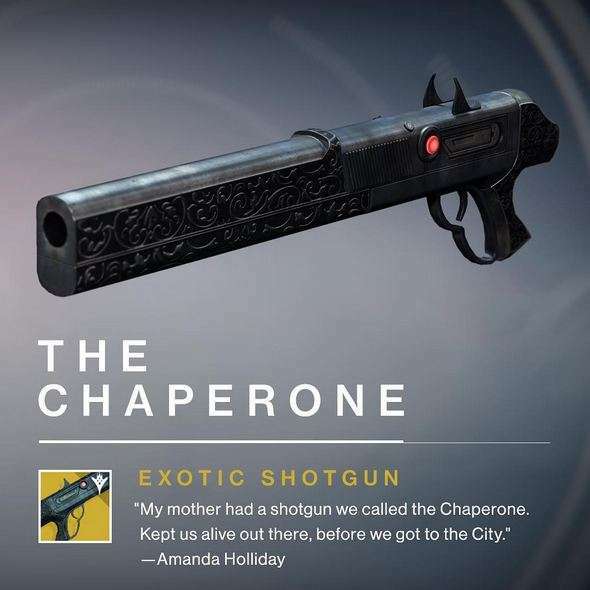 The last new Destiny Exotics item announced by Bungie is a shotgun dubbed The Chaperone. This highly exotic shotgun will fire a single slug. 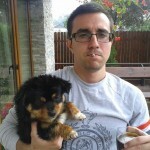 The Chaperone will grant a minor Agility boost once equipped. If you don’t have a happy triggerfinger, taking your time to kill other players will be even more rewarding. Precision kills offer a brief and minor increase in Stability, Range, Rate of Fire, and Handling. Excited about the new The Taken King DLC? It’s going to hit digital stores on the 15th of September. Until then, take a look at Bungie’s latest teaser trailer featuring Nolan North as the Ghost. As you may already know, Peter Dinklage of Game of Thrones won’t appear in the expansion. So what do you think? Is it worth the $40 price-tag? Or are you going to miss this one out?